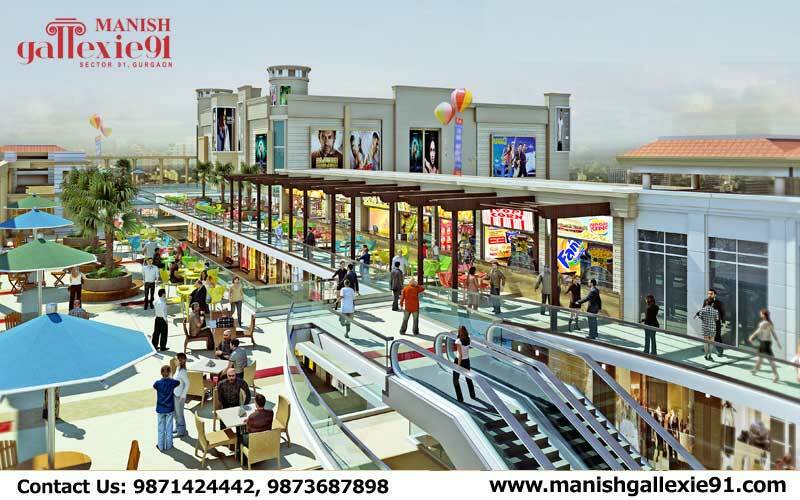 Manish Buildwell Presents “ Manish Galleixe 91” is new commercial project offered high street retail shops, food court and service apartments. 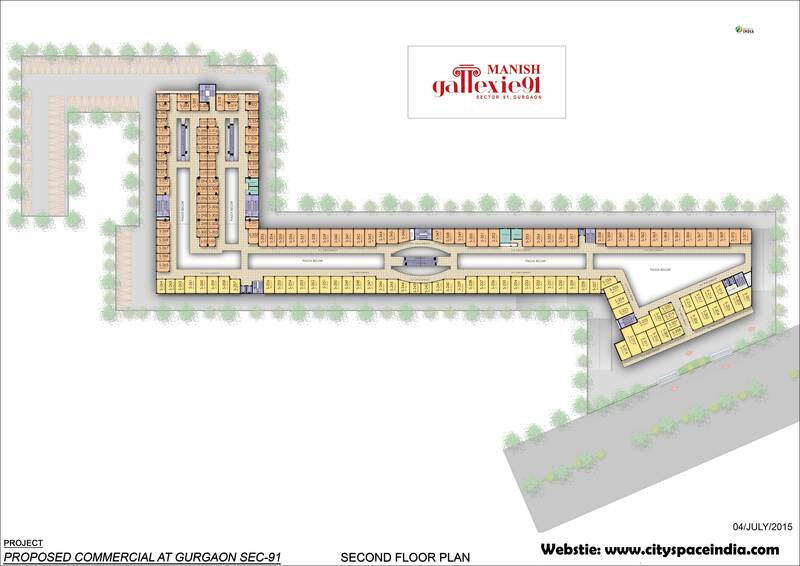 Manish Galleixe 91 located in Sector 91 prime location of gurgaon attached with Dlf Galleria and next New Town Heights. Already home to more than 10,000 families and well inhabited by residential apartments, housing colonies, mega townships, Sector 91 is next to IMT Manesar also has International Banks, esteemed Educational Institutes like the upcoming Modern School. 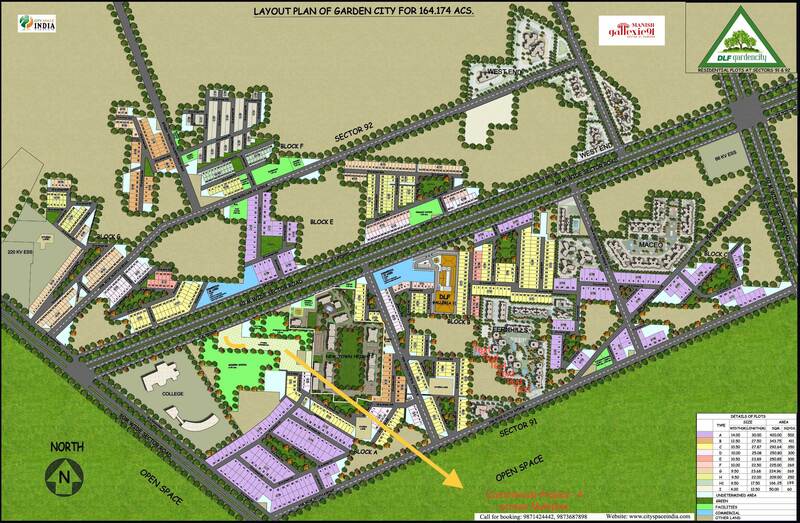 It comprises Double Height Retail Shops - Convenient Food Courts - Cineplex & Service Suits. Conveniently located along the edge road, off the dlf garden city in Sector 91, Gurgaon. Its easy connectivity to dlf garden city opens up a wide world of lifestyle and commuting choices for residents. 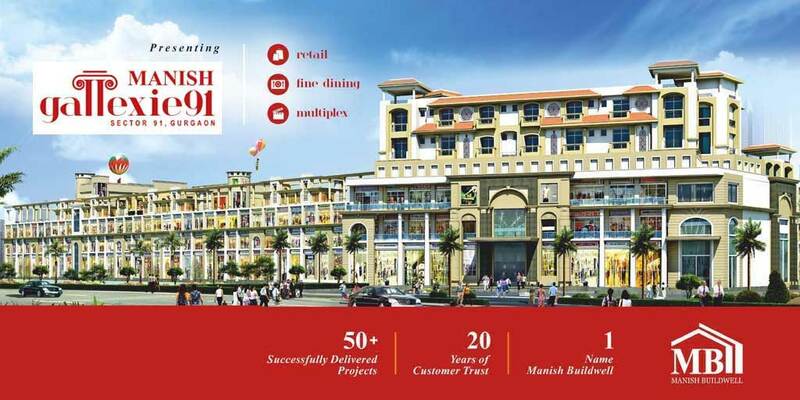 Manish Buildwell Private Limited is a Private Company incorporated on 04 November 1997. It is classified as Indian Non-Government Company and is registered at Registrar of Companies, Delhi. Its authorized share capital is Rs. 160,000,000 and its paid up capital is Rs. 152,000,000. Directors of Manish Buildwell Private Limited are Kamal Kishore Aggarwal and Manish Aggarwal. Double Height Retail section includes zoned areas for Anchors, Cafés, Hypermarket on ground floor and upper ground floor, plus multi-cuisine food courts, restaurants, entertainment zone and a multiplex. Commercial tower will include Health Club & Spa with Swimming Pool (Infinity pool concept), and roof top specialty fine dining restaurants. Glass capsule lifts with a panoramic view of Expressway and beyond. Ample width staircases, open-air escalators, elevators, etc. Garbage disposal on each floor 24/7 Water Supply. 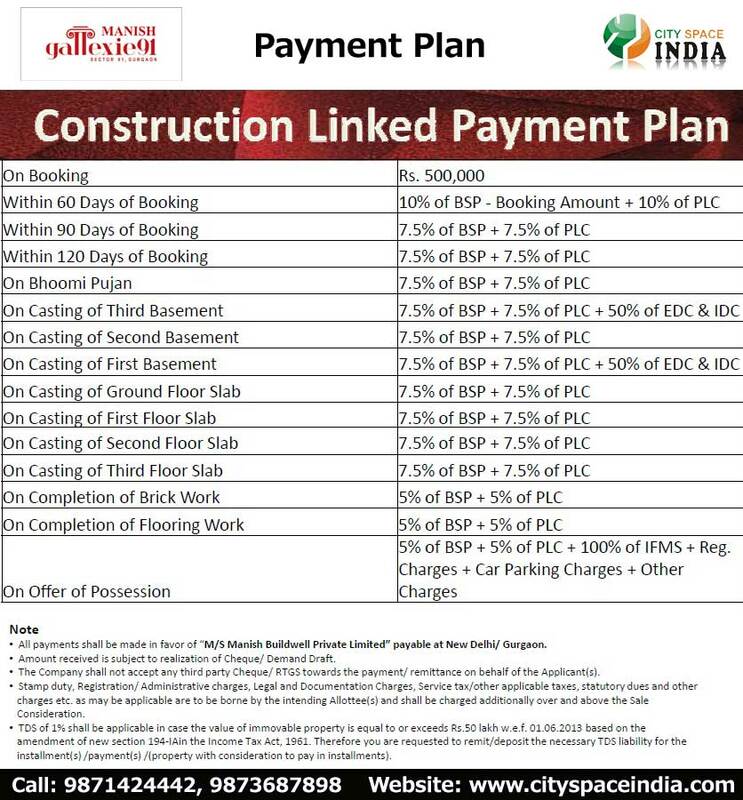 Looks like you are now close to deciding to buy an apartment in Manish Gallexie 91 here are the steps involved in purchasing with the help of PropTiger. 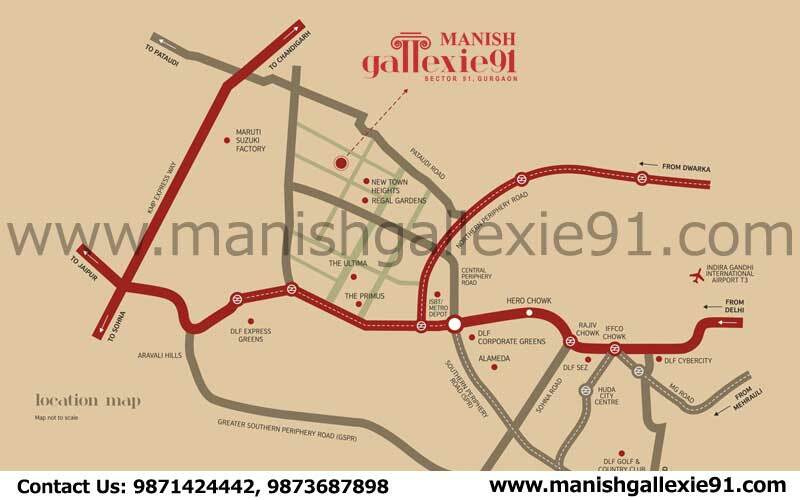 Thanks for showing your interest in Manish Gallexie 91, Gurgaon . Please register in the form below and our Sales Team will contact you shortly.